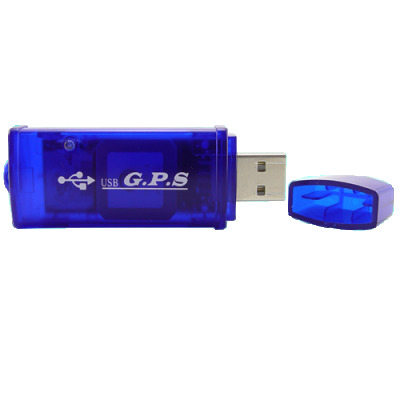 Successfully Added USB GPS Receiver for Computers, Laptops - Blue Color to your Shopping Cart. GPS Receiver USB Adapter for Computers (Netbook, Laptop, UMPC). Transform your laptop into a GPS navigator! This GPS Receiver USB Adapter for Computers is a compact, accurate GPS receiver with low power consumption that plugs into your computer's USB port. This receiver is suitable for all the applications of a traditional GPS receiver including planning your trip before you head out or finding your location while you are camping. All you need is: (1) the CVGI-B07 GPS dongle; (2) a computer; (3) GPS navigation software**; and (4) a destination. After installing the receiver and the necessary software, you can find your location right on your laptop. The GPS receiver takes its power from the PC it is attached to, so there are no extra wires or cables to tie you down. Based on SiRF Star III chipset technology, the GPS receiver provides accurate GPS positioning within 1 to 5 meters. To ensure up-to-the-second accuracy, the receiver tracks up to 20 satellites at a time, re-acquires satellite signals in about 100 milliseconds and updates position data every second. Data output by this GPS receiver include: (1) latitude/longitude/altitude; (2) velocity; (3) date/time; and (4) satellite and receiver status. An internal rechargeable Lithium-ion battery sustains the internal clock and memory and is recharged during normal operation. Its compact design is ideal for applications with space limitations. A compact size and low wholesale price make the CVGI-B07 perfect for the resale market and is provided direct to you by the worlds number one choice for the latest high-tech gadgets and budget-friendly prices: Chinavasion. 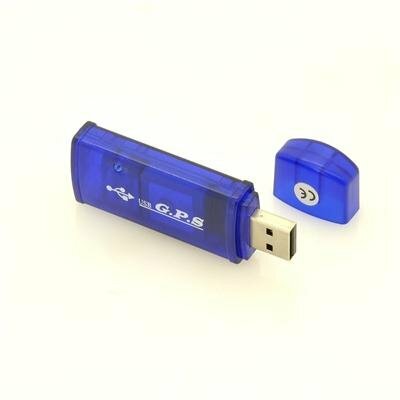 In addition to this USB dongle, you will also need to install GPS navigation software (not included with this GPS receiver) on your computer. Once your computer has GPS software, then you are ready to plug in and use this GPS receiver. Moet zeer lang wachten op de bestelling. Very fast delivery. High quality product. Thank you. I recommend. I used this device for four years and I did not find any difficulties. Great price and best quality. Works fine under Debian Wheezy,no drivers on CD for Linux at all,but also not necessary for me.